Expert Bio-Process Technician, Emanuel Richardson, has made a great improvement to the manufacturing process at a premier pharmaceutical company. He has implemented yellow belt strategies to streamline production. Emanuel Richardson, a Bio-Process Technician for a premier pharmaceutical, has made a great improvement to the manufacturing process by implementing yellow belt strategies to streamline production. He has adhered to cGMP and safety requirements while implementing yellow belt strategies to shorten production time. 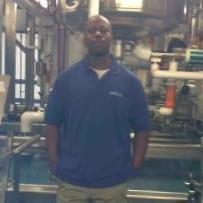 Emanuel Richardson is a Bio-Process Technician with over seven years of experience in the pharmaceutical industry. He is well versed in upstream bio processing and engineering. In his daily work he is breaking new ground by executing all production tasks per planned scheduled and standard work. He utilized DeltaV for CIP/SIP of all circuits and associated process equipment, and decontaminated materials and production waste. Additionally, he performs seed expansion activities in the Biosafety cabinet by utilizing aseptic technique. Other services include messing pH and Optical density for cell culture production, and performing centrifugation and depth filtration on cell broth. He performs daily, weekly and monthly cleanings, and adheres to cGMP and safety requirements in every aspect of his work. Emanuel Richardson has participated in 5S and Continuous Improvement discussions in real time, and has achieved success and training in LIMS, SAP and MES. Now he’s helped the company with the new improvement to production, allowing them to serve their customers more efficiently. Emanuel Richardson works with one of the world’s largest pharmaceutical companies, which develops and produces medicines and vaccines for a huge variety of areas. For example, this pharmaceutical company creates products for immunology, oncology, cardiology, endocrinology and neurology. Popular products have included immunoconjugates, vaccines, and much more. Pharmaceutical companies rely on biotechnology for the creation of their products, with many bio technicians operating technical equipment, measuring chemicals, and formulating complex products. Emanuel Richardson is an expert in this. Those wishing to find out more can visit his LinkedIn page on the link provided above.